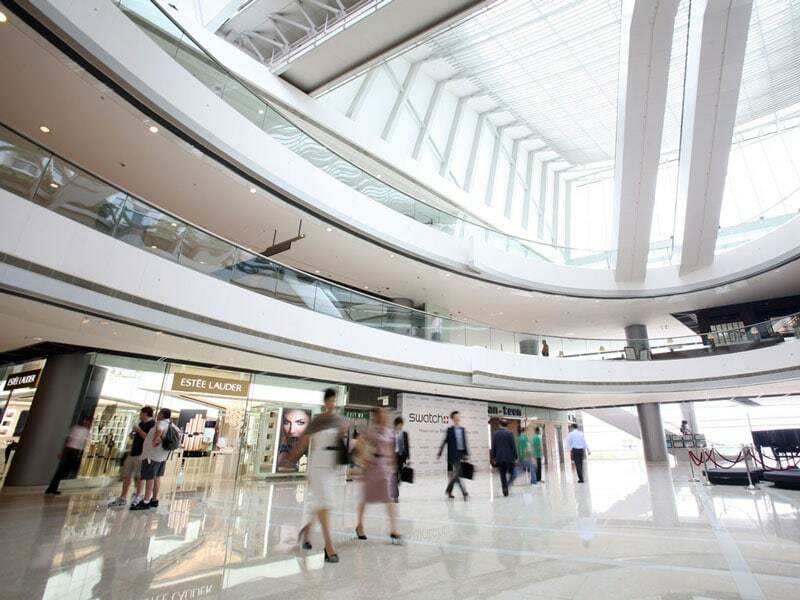 Geoclima’s decade-long expertise in cooling solutions for commercial buildings has been recently employed in a new shopping center in Rome. In commercial buildings, generally, besides for lighting, the 60% of energy consumption is spent for cooling and heating systems. From this perspective, it is important to rely on air conditioning systems that provide great performance and high efficiency levels. Geoclima solutions can meet these requirements and ensure a remarkable reduction in energy costs. We started designing and providing HVAC solutions this sector back in 2009 for more than 50 supermarkets and shops in the UK, gaining strong expertise and competence in this sector. 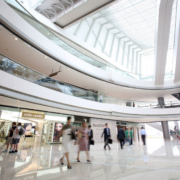 The latest project in this field we have taken part in is the big shopping center AURA in Rome: the entire air conditioning system is based on a centralized thermostatic ring system and we provided 6 evaporative dry coolers to dissipate the excess thermal energy of the thermostatic ring. We at Geoclima are able to ensure maximum reliability as well as maximum energy efficiency, which are paramount in commercial buildings.